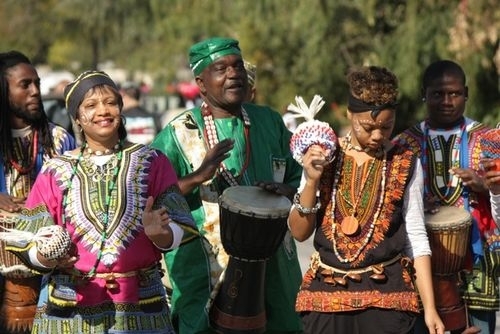 Please join the Los Angeles Community Colleges District Black Faculty and Staff Association at the City of Pasadena’s 32nd Annual Black History Parade and Festival on Saturday, February 15, 2014 from 10am to 4pm. It is one of the biggest and longest-running Black history parades in California. Our black history parades highlight African history, African-American culture, and are the only ones where you’ll see low rider car clubs, Buffalo Soldiers, Tommy the Clown, black fraternities and sororities, and Masons marching in unity celebrating our culture and history. This year, the parade will feature the Pasadena City College Band and Herald Trumpeters, along with 76 additional entries, including musicians, dancers, equestrians, local youth groups, dignitaries and community leaders. The Grand Marshals are: Gary Moody, community activist and president of the NAACP Pasadena Branch, and Shirlette Butler-Elder, childcare advocate and director of Butler-Elder Family Child Care. The parade begins at 10 a.m. at the historic Charles White Park at Fair Oaks Avenue and Ventura Street in Altadena; then heads south on Fair Oaks Avenue before ending at Robinson Park, 1081 N. Fair Oaks Ave. in Pasadena. The parade lineup includes city officials, community dignitaries, John Muir and Blair high school bands, drill teams, The New Buffalo Soldiers, Real Ryderz Bike Club, Altadena Unique Red Hatters, Majestic Car Club, African-American sororities and fraternities, and more. The festival takes place from noon to 4 p.m. on the north side of Robinson Park at Hammond Street. There will be live entertainment for both adults and children, including performances by the female rhythm and blues band, Klymaxx and 2013 Pasadena Idol winner Tori Harvey. The festival will also feature local food vendors and free info booths. We will meet at Charles White Park at 9:00 a.m. and will carry our LACCD BFSA banner. All groups participating in the parade are required to be in uniform, so we will wear all black with kente cloth sashes. If you would like to purchase one, we have them available for purchase for $10. Visit The City of Pasadena or www.pasadenablackhistorycommittee.com for more information about the parade. Email Ayesha Randall at randalak@lattc.edu if you want to participate. Also, follow the following link to download a flyer: Black History Parade Flyer for LACCD BFSA.